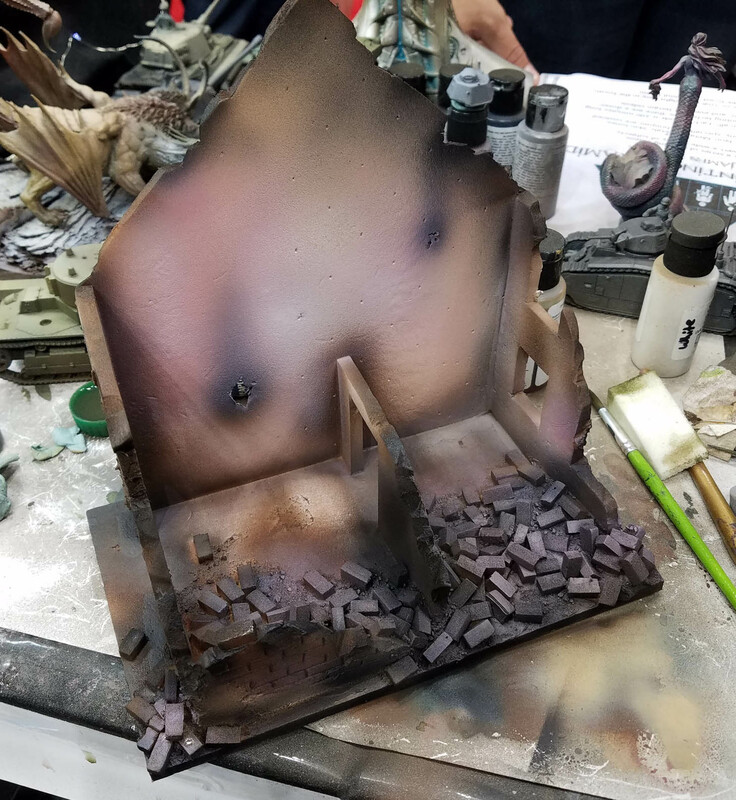 When I first got back into airbrushing, I especially looked forward to its use on terrain pieces! While I assumed it would save a lot of time (which it certainly does! ), I was hoping that it would allow me to do more potentially 'delicate' pieces. By that I mean ruined buildings that had shattered bits hanging off, or piles of bricks such as these. 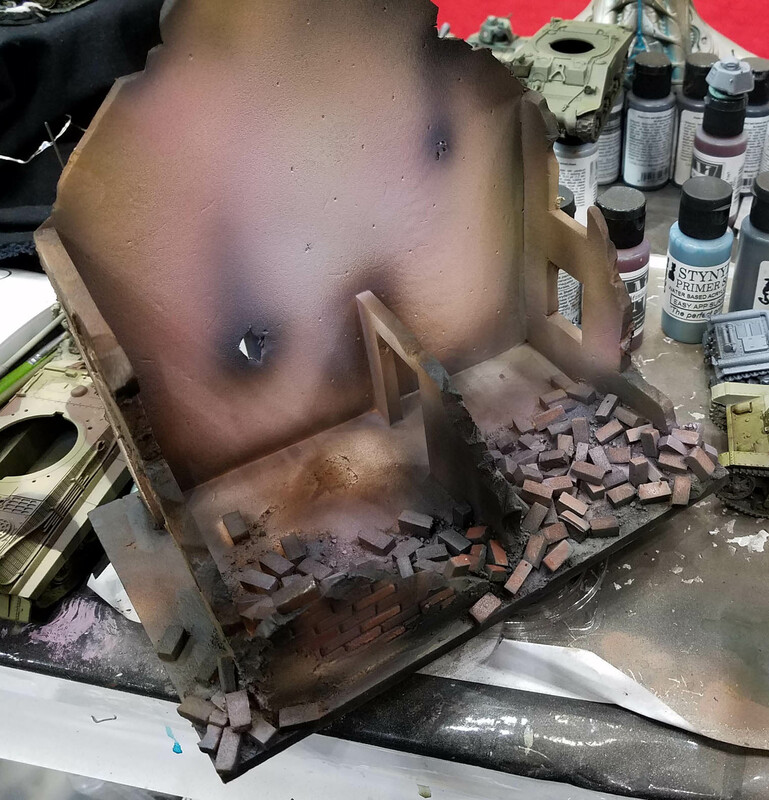 Getting the darker colors jammed into those areas with a brush (even with watered down paint) can lead to pieces breaking off, etc. 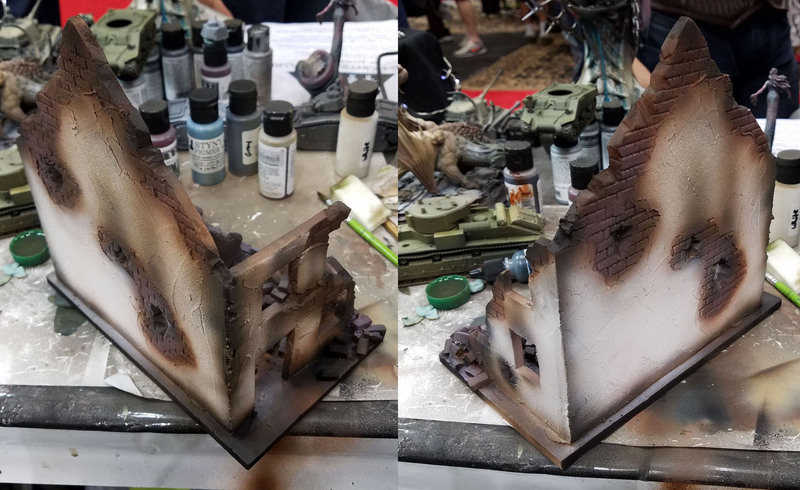 I had a few requests to show how effective the airbrush was at creating scorch marks and other effects, so I did that in the booth as well. 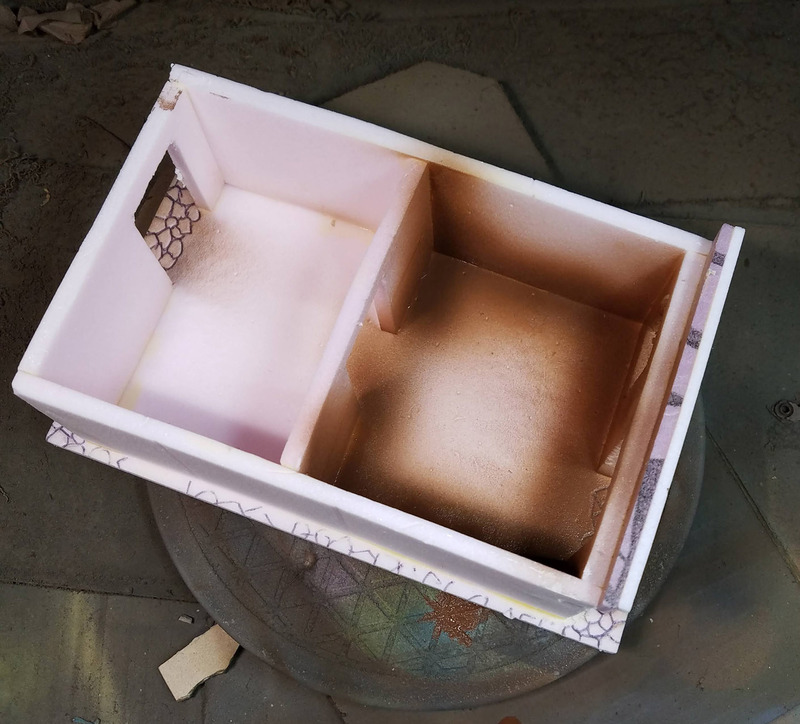 In the past I used weathering powders for this, but it is nice to use something more permanent like primer. 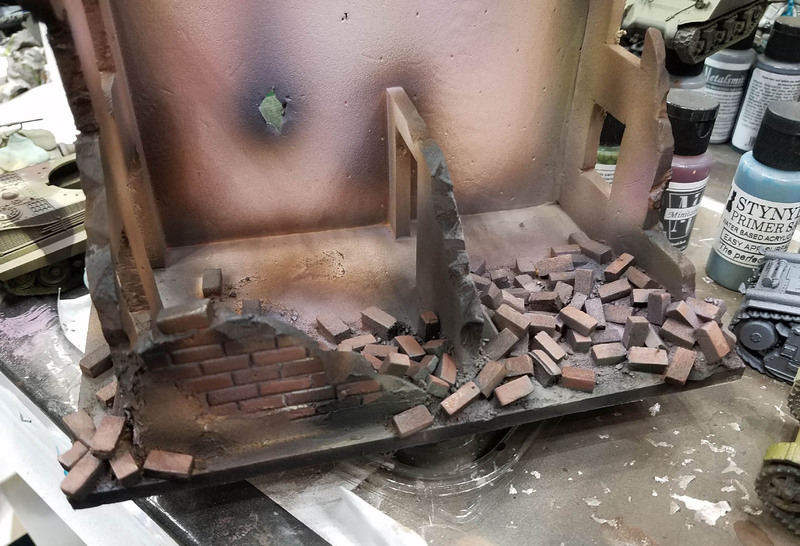 Once I get the bulk of the piece done with the airbrush, I can go back in and pick out more details such as bricks, cracks, etc. I can even add furniture, posters and more. Having the ability to reach this stage so quickly will make it far easier to get this entire town painted! I am also getting more variety in my colors, since it is do easy to dust over a grayish tone here and there, even some greens. 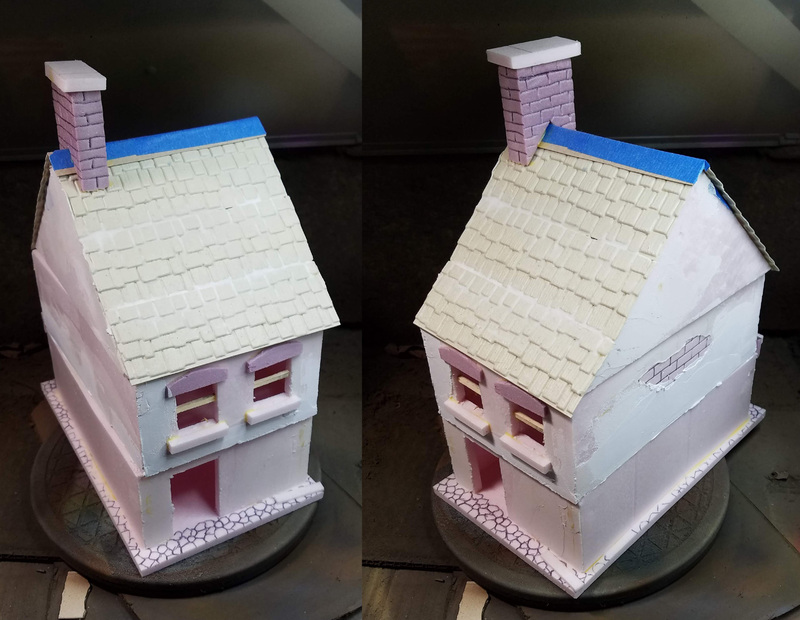 After a few minutes of general work, I was already picking out individual bricks with a few brushed on colors, and even working on the mortar lines between the brick layers. 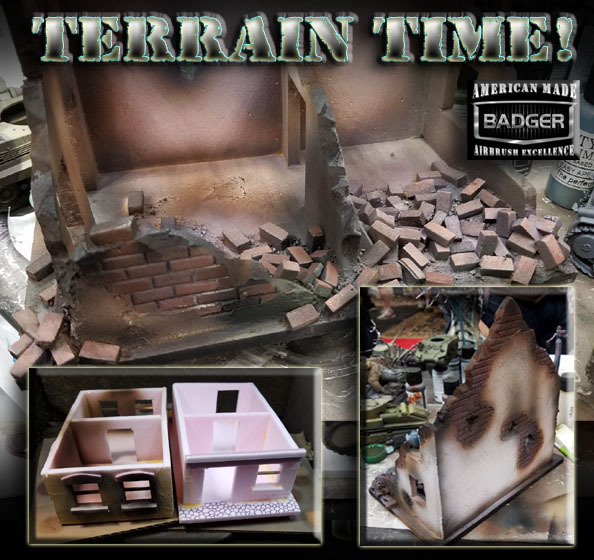 As I have mentioned, these are just a few of the buildings I have set for this new terrain board. More are being constructed, so that I have more options for layout and placement. 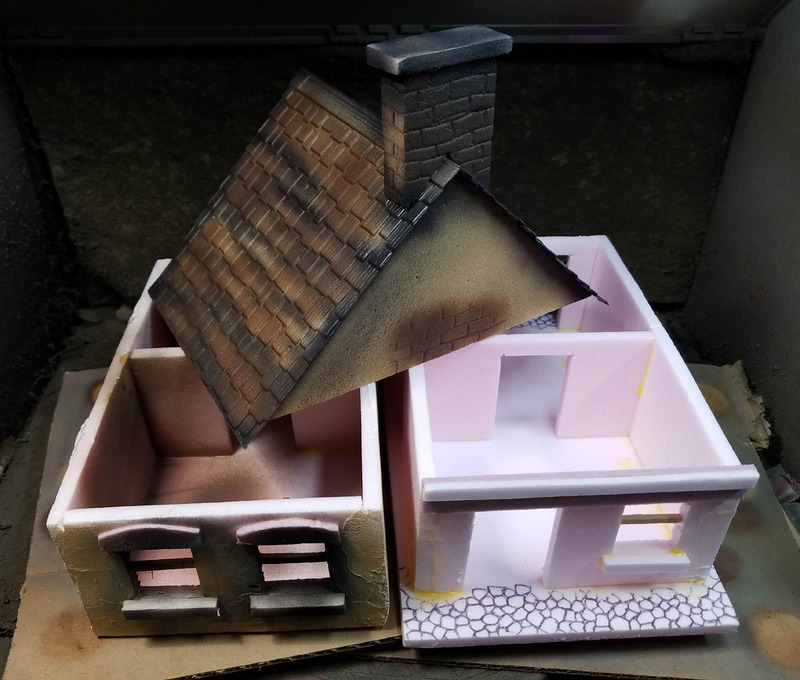 Also, I am working on a few buildings to create "forced perspective" in order to tie in the painted backdrops with the rest of the board. 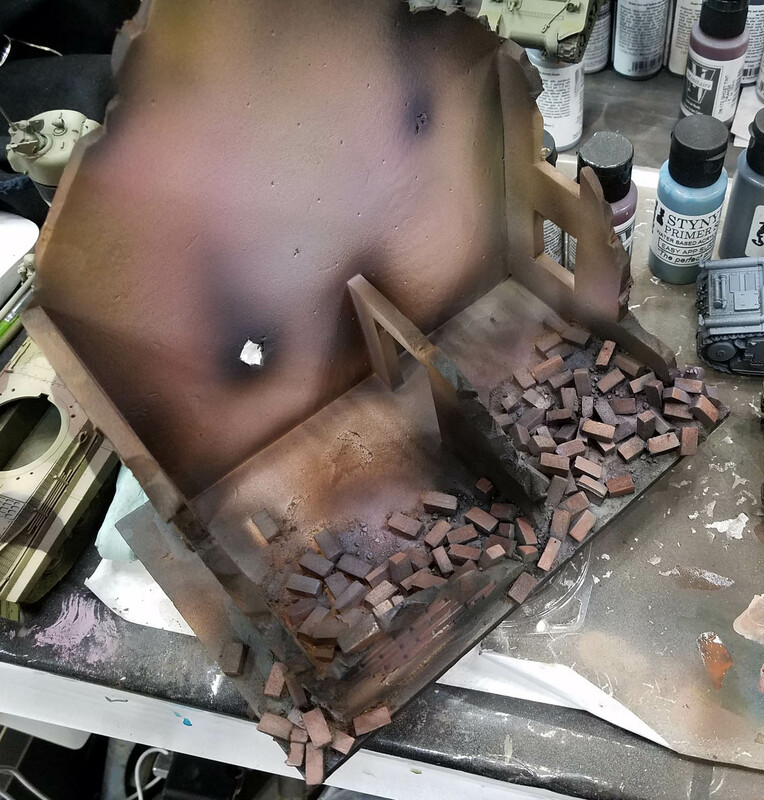 These will be ruined buildings or 'store fronts' which will be placed right in front of the painted backdrops. This will add one more layer of perspective, making the board appear as if it is receding into the backdrop, instead of ending abruptly. 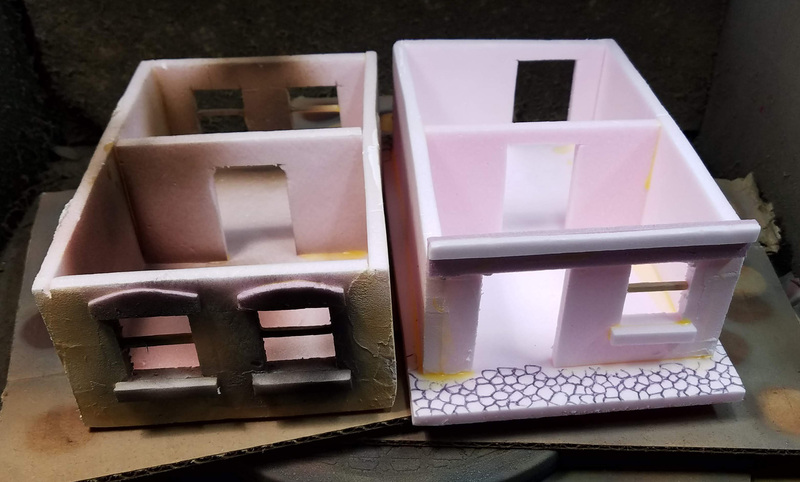 In some ways, the intact buildings are more difficult to paint. They will certainly require more finishing details, such as wallpaper for the walls, and so on. I have another tutorial planned for those interior spaces, so stay tuned! 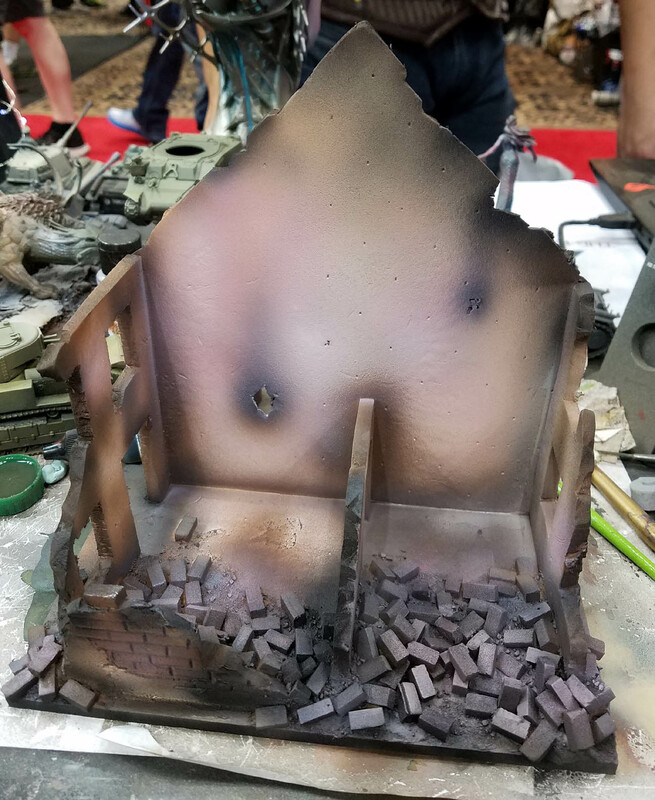 The airbrush is very handy for getting inside the buildings, particularly those that are intact! It is very difficult to get at these interior corners with a brush... at least in a timely fashion.